Atlanta Commercial Roofing Contractors provides roofing services with its 50 years of combined construction and roofing experience. We offer roof replacement, new roof replacement, apply roof coatings, and handle roof repair maintenance for apartments, offices, churches, schools, hotels, hospitals, manufacturing facilities, and other properties. Our licensed, bonded, and insured master roofers are full service contractors. ACRC offers roofing services for all types of roofing system and buildings across all industries. We look forward to helping you make the most informed decision about protecting or improving the roof of your property. Whether you are dealing with a repair emergency, or curious about prices and the cost to re-roof your building, our master roofers are able to respond immediately to your request. We install and repair roofing systems, across the range of buildings and property types. 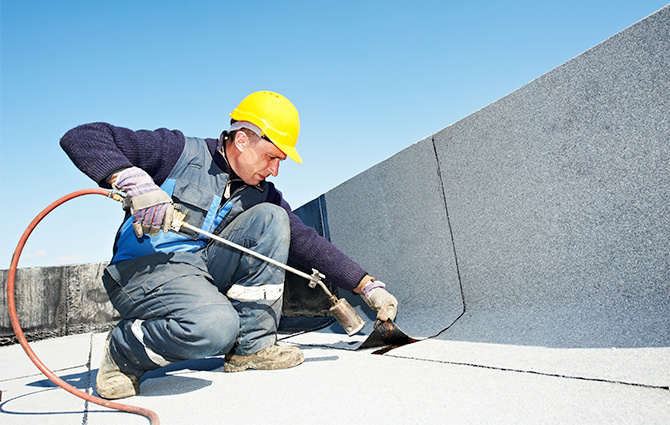 Listed below are common commercial roofing service requests, but no job is too big or small. If you have questions or need a knowledgeable partner, just let us know how we can help. We understand the importance of re-roofing occupied commercial buildings so that there is little to no interruptions on the operation of the facility. Thus, our roof installations are well-planned for maximum efficiency. Severe weather or a faulty roof component may require immediate response to avoid interrupting your normal business operation. You are our priority, and our contractors are available and at your service 24 / 7. Monitoring the maintenance of your roof is an unnecessary responsibility when we can perform scheduled inspections and repairs that add years to the life of your roof. Our crew provides proactive services so you can focus on your business. Our knowledgeable specialists have serviced roofs across a range of industries and building types. As Atlanta’s leading commercial roofers, we have successfully serviced these types of roofs as well as others. Our knowledgeable specialists will educate, inform, and outline all aspects of your roofing project, many of which are often overlooked. Preventing unnecessary expense and completing projects on time is our highest priority. Whether you need to discuss materials, estimated project timelines, or solutions so your business can continue running without interruption. Atlanta commercial roofing contractors are you’re willing and committed partners. Get a free assessment in expert roofing advice by filling out your info below.